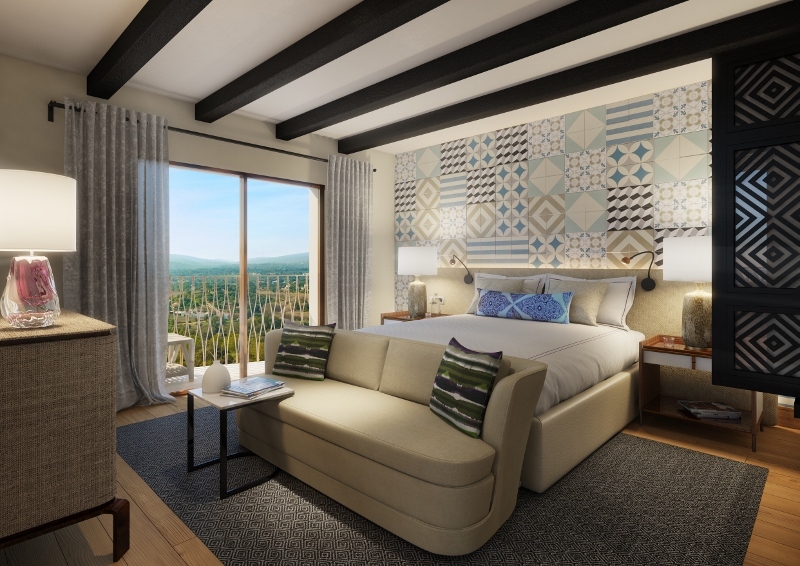 With an initial investment of €100 million, Ombria Resort’s first development phase in the Algarve will welcome the arrival of a new five-star Viceroy hotel. 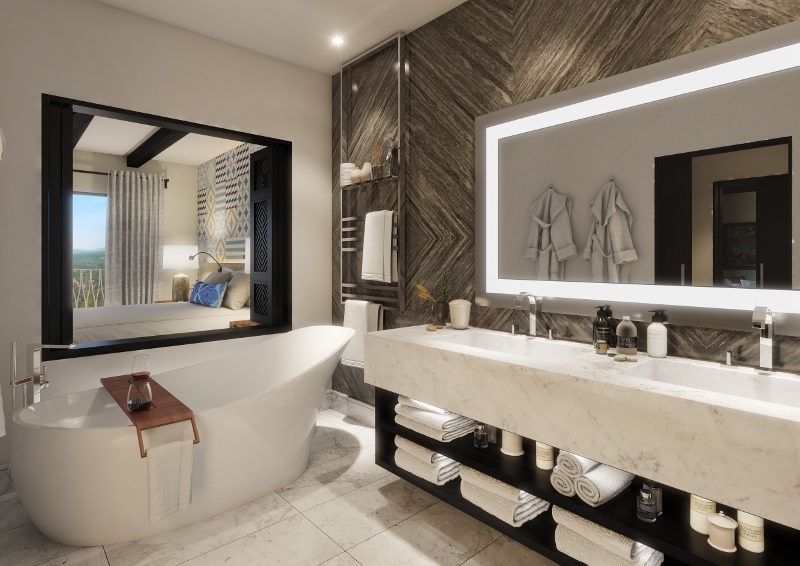 The overall design aesthetic has been developed in partnership with WATG who are responsible for the landscape architecture, WATG’s interior design firm Wimberly Interiors, and Portuguese architects Promontorio. ‘Carved by Nature’ vision draws inspiration from the features, forms, material and themes of the authentic Barrocal sub-region of the Algarve. All designers and architects involved are operating with the same shared aim: to create a new sustainable luxury destination, promoting and supporting the heart of the Algarve area, enhancing the area’s culture and traditional heritage. 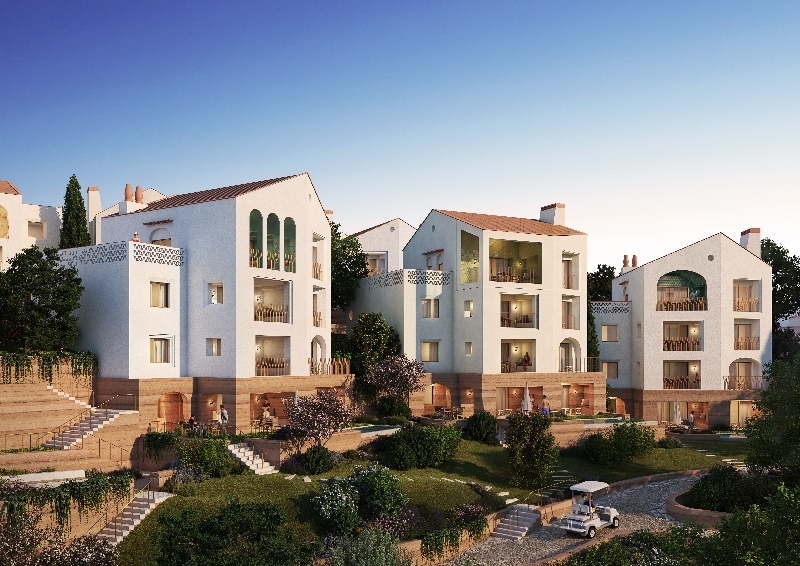 Residences will reflect the surrounding architecture of the interior of the Algarve, while echoing the style of nearby traditional towns. “We really wanted to bring in the warmth and texture of the surrounding environment. 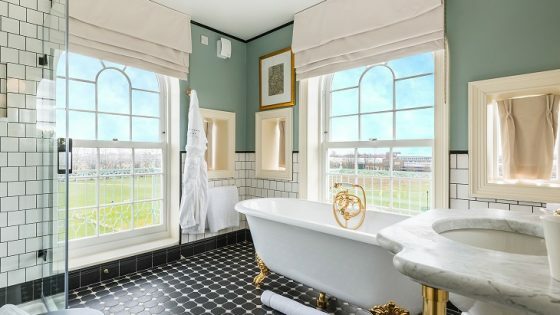 Our modern interpretation, embraces the local design and culture, maintaining the distinct Portuguese spirit,” said Liana Hawes-Young from Wimberly Interiors. The hand plastered walls in the hotel evoke memories of traditional Portuguese design, whilst the colour scheme of blue and white patterns pay homage to the traditional tiles found throughout Portugal and are inspired by the local tiles sourced for the lobby seating and guest staircase. Locally sourced materials are used throughout, opting for reclaimed materials wherever possible. The exterior draws inspiration from traditional Portuguese craftsmanship with extensive use of rammed earth walls, manual fire-baked terracotta and lime plaster. Local Portuguese architects, Promonorio implemented the architecture that WATG has designed. The firm draws up a holistic approach to architecture, creating places that are implicitly sustainable with a preference for locally sourced materials. The hotel is excepted to open in 2020. It aims to set the bar as a new generation of low-density report development where sustainability, the environment and support of nature lie at the heart of the foundations.